So, I was inspired by this, which I think originally came from here. 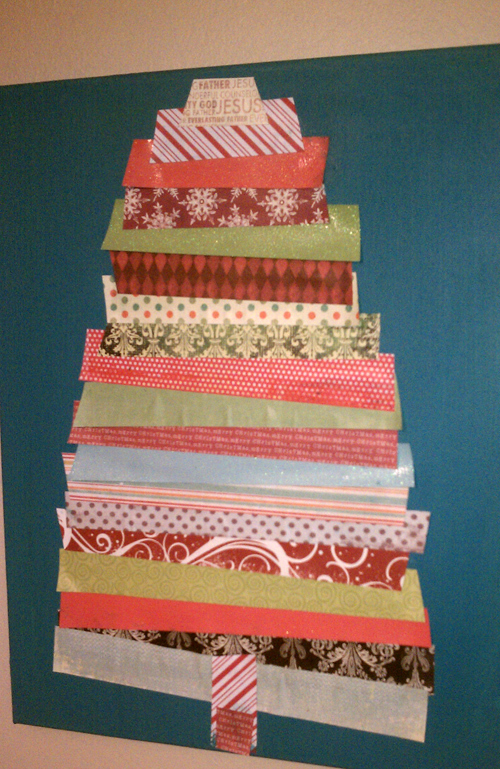 Anyway, I thought I would jump into my stock pile of scrapbook paper and do something fun with it for the holidays. No, I don't scrapbook. I am just obsessed with the patterns and colors of scrapbook paper! I simply placed pieces of paper on some canvases that I painted this bright blue color and then modge-podged it all. Some of the paper warped and some stayed flipped off the canvas but I didn't mind that little bit of dimension. 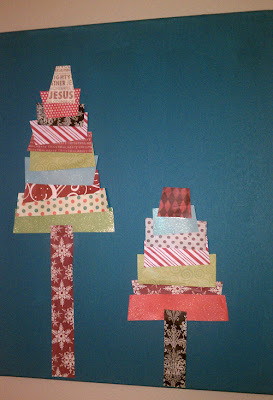 The two tall trees are definitely my favorite as the large one didn't quite turn out as great as I wanted. They both add a fun touch to my Christmas decor.